Where the largest collection of Classics and Modern Greek books in the world can be found. Our Classics department covers ancient history, culture, mythology, religion, as well as literature. 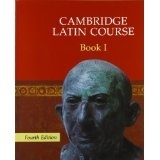 We have books for learning Latin and Classical Greek and various DVDs, teaching aids, posters and CDs. Our Modern Greek department covers all subjects, from travel, cookery and children's books to literature, history, games and DVDs. We also stock books on Theology and New Testament (Koine) Greek. Furthermore we can obtain any book in print and source out of print titles. We are happy to make out-of-hours appointments to visit the shop. If you wish to place an order, to be invoiced, you do not need to fill in credit card details on our secure order facility. Name of school, teacher and department and account holder will suffice. If your school doesn't have an account, you can join the thousand or so who do by entering the school's full details, and you'll be sent an invoice along with the books, dvds, posters, pencils, etc. We are pleased to offer discount and free carriage on orders over £75.00. Free postage applies to UK customers only. Please phone - we're here to help.